From the low on sleep department... Thanks to Crew54 for the show details! 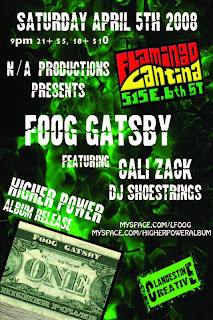 Foog Gatsby @ Flamingo Cantina tonight, April 5th! 6th will definitely be poppin' off with the Texas Relays and everything. There are shows all over!